I cant remember exactly when I first got into Lara's work but I followed a load of artists and collectives on Twitter and Instagram like Dundee Print Collective and her handle popped up and I instantly fell in love with her style and subject matter. I'm a huge fan of old animal and plant illustrations which but it was the subtle elements and well executed line work that made Lara's work stand out. This past weekend I decided to visit Dundee with the intentions of seeing Lara's work in the flesh. However I wasn't prepared for the University building being shut! Thankfully the security guard was kind enough to let me in for a look and to take some snaps. As always photos don't really do justice to the work but it was fantastic to see prints, sketches and paintings together, giving a great overall view of Lara's work and an insight into her methods with sketch books opened, smudge marks and all! A few stuffed specimens also graced the display cabinets but in their dormant state only highlighted the life and vibrancy of Lara's work and its unique quality. I could go on and on but really you should jump on a train like I did and go find Laras work and see it for yourself. And you can nip into the DCA and see some more top quality work and get a tasty lunch. It was great to get out of Aberdeen for a few hours and get a wee taster of whats going on down the road, with the V&A under construction Dundee is set to become a real beacon for creatives and already boasts a great number of artists, collectives and gallery spaces. 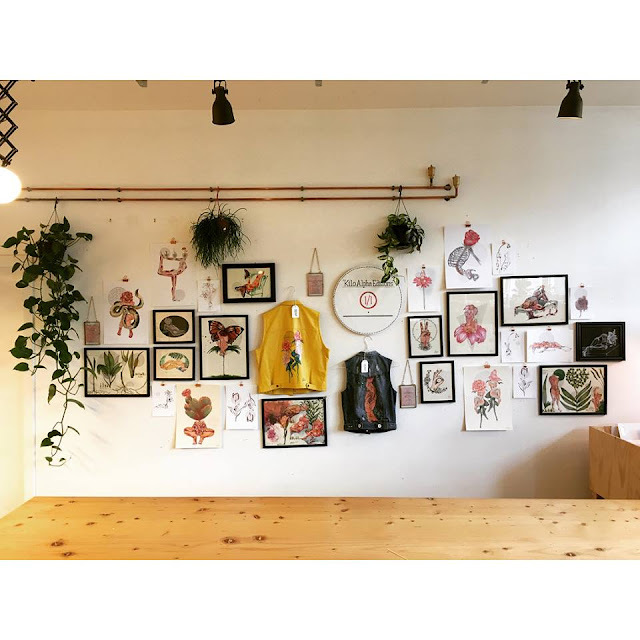 If you want to see more of Lara's work then check out her website here, follow on Twitter and Instagram and check out this cool studio visit feature on the Creative Dundee site. And special thanks to the Dundee University security guard who kindly let me in while the building was closed, don't think that would happen up here!